For the most part, we gauge the development of speed and quickness by how the sports cars and racing machines that don the tracks around the world perform. Formula One is an area where we’ve always looked for the fastest cars and the best performance at the track to give us an idea of exactly what we’ll have for the drive. While we’re not going to take a Formula One engine and put it in the cars we drive on the roads that we enjoy, you’re going to admire the developments that have taken place. You might think that Formula One models have slowly progressed and that it’s taken a few decades for these cars to get faster, but the video below will prove that’s not the case. In fact, the difference in time between these two videos is only eleven years, which shows you just how much the development has changed and what these vehicles can do when the right driver is at the controls. Not only was the right driver at the controls, the car had the right stuff underneath for the impressive drive on the track to set a new record. In 2006 the record for the lap time at the Suzuka circuit was set by Felipe Massa for the Japanese Grand Prix. The lap time was 1:29.6 and it’s stood for the past eleven years. 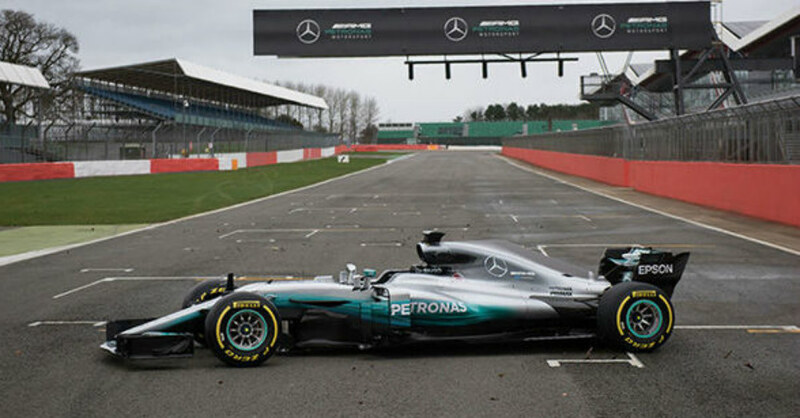 Recently the Formula One car from the Mercedes-AMG team which is driven by Lewis Hamilton was able to beat this incredible lap time to finish the lap at 1:27.3. This new lap time is one that certainly showed us the incredible speed and development of what the new Formula One cars can do, but the power development is different than in the past. In the past the development of racing engines and cars was done with either additional aerodynamics or a larger engine, but with the development of hybrid technology, turbocharging, and even more aerodynamics we see more of what’s needed for the cars that we love to watch riding around the track. The car driven in 2006 was powered by a 2.4-liter V8 while the newest one for this year uses a 1.6-liter turbocharged V6 engine that also uses a hybrid system to bring more power directly to the wheels for the lap time that makes driving fun. Check out the video below and take a look at where each driver is on the track during the lap. While a couple of seconds might not sound like a huge difference, it actually is and the fact that the engines uses are smaller and more powerful makes this development even more incredible. The racing world is reflecting what we see in the automotive market or maybe the automotive market is reflecting what the racing world has developed. Either way, the speed continues to grow as the Formula One cars are built lighter but more powerful with the technology that’s been developed.